Plant-Based Whole Food Recipes for Every Taste! Use these guidelines of super healthy China Study Diet recipes and start treating your body how it deserves today! Imagine a life where your waistline is the last thing on your mind. You’re skinny, you feel good, and you look phenomenal. 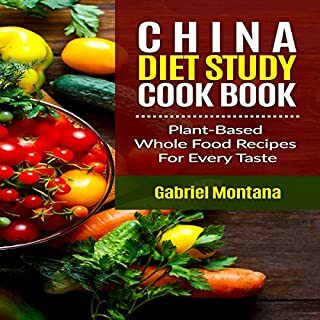 All of this is possible through the secrets that exist within this audiobook, The China Diet Study Cookbook: Plant-Based Whole Food Recipes for Every Taste! 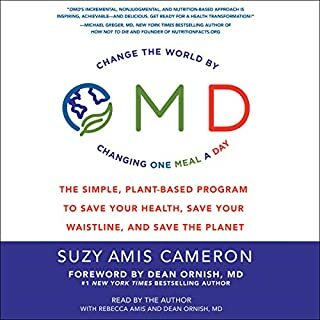 Suzy Amis Cameron - environmental advocate, former actor, and mom of five - presents an accessible guide for you to improve your health and shrink your personal carbon footprint simply by swapping one meat- and dairy-based meal for a plant-based one every day. 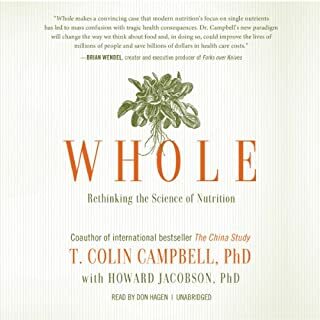 In the 1980s T. Colin Campbell, PhD, codirected a study of more than four dozen diseases and 367 items of socioeconomic, lifestyle, nutrition, and genetic information across a population of 6,500 adults in rural China, generating more that 8,000 statistically significant associations. 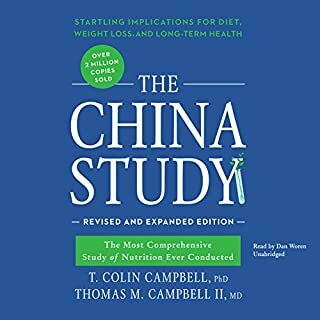 Those groundbreaking results, along with many other research projects described in the best-selling book The China Study, support the theory that a whole-food, plant-based diet is linked to lower rates of chronic disease. 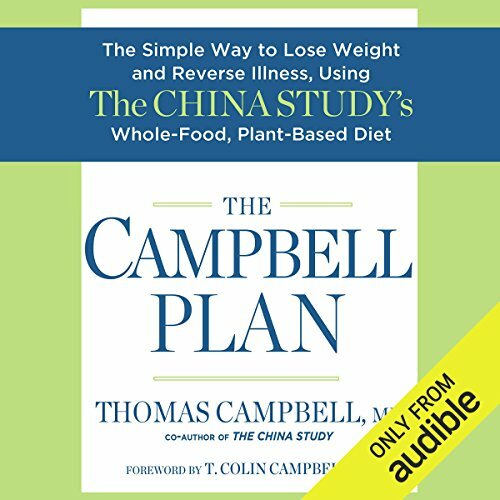 The Campbell Plan is full of the cutting-edge nutritional research that fans of The China Study have come to expect. Dr. Thomas Campbell speaks to the listener about health, weight loss, and the science behind it. 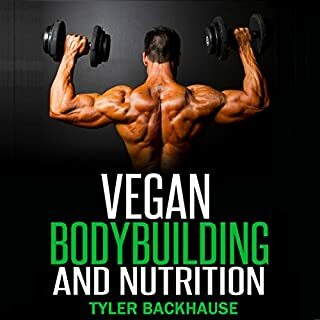 He also addresses the biggest difficulties of transitioning to a plant-based diet; the most frequently asked questions he receives from patients, practitioners, and readers; and the most cutting-edge research in nutrition. The Campbell Plan's combination of practical tools and the research-based evidence of The China Study will change people's lives for generations to come. ©2015 Thomas Campbell, MD (P)2015 Audible Inc. These principles have revolutionized my life by rescuing my health. Apply them and say goodbye to heart attacks and many cancers! I loved the content, my only complaint is that the accompanying PDF does not include recipes, only graphs. To obtain the recipes, the listener needs to listen to them being read. Strange and somewhat annoying. This was a wonderful book! I really enjoyed how the narrator read the book (However, he read a little slow, I ended listening to the book at 3x speed for this one). Dr. Campbell is very fair in his assessments and he lays out the facts in a way where once he makes his conclusions, you feel as though you would have made the same conclusions. This book is scientific but written for all audiences. The only gripe I have is who in their right mind would ever be able to listen to the last chapters (recipes). Recipes should be written. 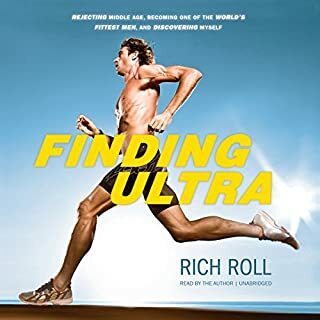 Audio books are when I am multitasking, running, or driving. I can't possibly write down all the recipes or remember we them. Although the information in this book is good, I advise against getting it in the audio book form. The performance is great, but last three chapters are recipes and listening to 90 minutes of them just doesn't make sense. They are not included in the pdf, so you either have to listen and write them down, or get a printed copy/e-book. Also discounted Kindle companion book is not available for this title, so you'd have to pay full price. So great info, poor execution. Good listen but the PDF should include the writen documents yu need to actually do the siet. Have you listened to any of Mark Cabus’s other performances before? How does this one compare? Was The Campbell Plan worth the listening time? 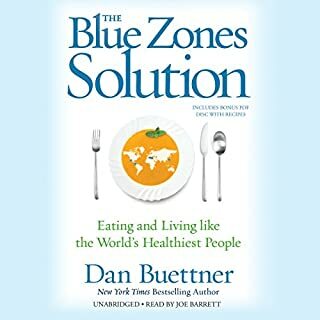 The information in the first part of the book is very valuable but the real point of this is to change your diet and lifestyle - author refers to lists of foods and check lists but they are not includedin the PDF. Author also reads the recioes, not particularly helpful - recipes should be in PDF. What did you love best about The Campbell Plan? What I loved is that The Campbell Plan made applying what was learned in The China Study more accessible for actual application. What could Thomas Campbell have done to make this a more enjoyable book for you? What does Mark Cabus bring to the story that you wouldn’t experience if you just read the book? Mark Cabus does a good job of relating what might be dry material in a voice that is easy to listen to. Basically, his reading the book to me gives me the ability to listen while I am doing my housework. I would not get to "read" as much if I did not have audio books. The most interesting tidbit was not really new news, since I have read The China Study twice, and some chapters more than that. What I find interesting is that milk is so harmful to my immune system. I wish the author did not continuously recommend the reader to The China Study. A couple of times would have been fine, but I lost track of how many times he actually said it. Additionally, what is the point of making a book an Audible book, and expensive, if the reader is not allowed access to all of the information because the important stuff was not included in the PDF provided? Isn't that, well, stealing my money? It's a good plan, and I believe in the what the author suggests, but I do not appreciate not being given ALL of the information. 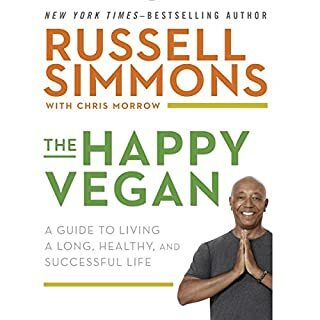 This backed up the book he and his father wrote very well and gives you a bit more of the toolsl that you need to be successful with this life change. The proof is in the research. This book can really change your life if you stick to it. This was a great book but I need the recipes in PDF format. I hope I do not have to go and purchase the book just to get those. I also see that the same complaint is in almost everyone of these reviews but I wonder if anyone is reading them other than the consumers. 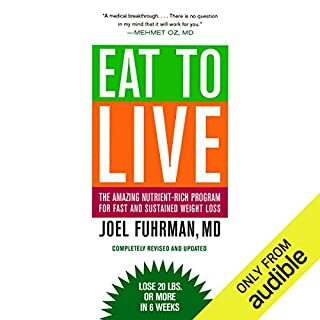 I think this is a VERY important book and I enjoyed it greatly until I got to the recipes; then, I realized that NOT every book should be audible. The dang recipes are the KEY to living the Campbell Plan and do they expect me to write them down as the narrator speaks them? 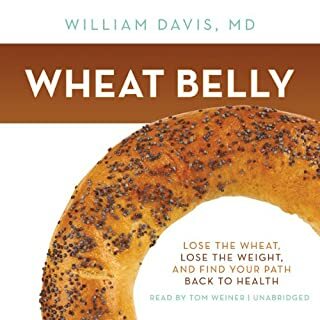 If you want to "hear" the compelling facts regarding a WFPB diet, listen to the book all the way to the Recipes content. Then go out an buy the dang book. Amazon should chat with the author about getting a pdf of the recipes. The 11-page PDF is excellent support of the initial content, but falls WAY short in helping listeners execute the Plan. I am going to ask Amazon for a refund, which I will apply to the hard back book. For now, I am left hungry. Not the audio version because the recipes are not available. Book is very interesting nonetheless. Review will be updated when recipes are added in the pdf coming with the audio book. Until then, it's pretty useless you can't listen to 1,5hours of recipes. What would have made The Campbell Plan better? Recipes in printed form. The whole book is about changing our way of eating and I'm expected to listen to mind numbing recipes and write them down??? Audios are for my commute. How can I search for recipes in audio form. Dumb, dumb, dumb! What was one of the most memorable moments of The Campbell Plan? Realizing the recipes were only via audio. I was so excited to get going on the 2 week diet plan with simple recipes. Now I'll look for another book. I don't want to buy the hard copy of this one when I already paid for the audio. I have never read a book that I believe every person should read, but this is the one. 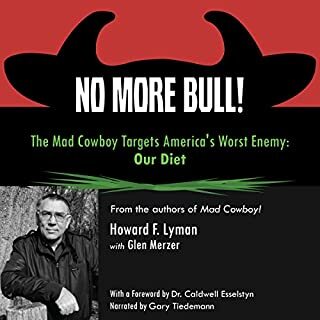 It's difficult to convince people to change their way of thinking about nutrition but this book goes a long way in doing that. T. Collin Campbell reports on his resarch and the scientific data of others to help us understand that we are likley killing ourselves with the food we eat. He has the remedy but he gives us understanding also. He tells us the 'why' we should rethink our eating habits. I have given away several hard copies of this book and I keep ordering more. 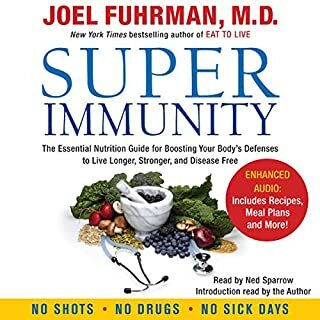 Before you get sick, read this book. 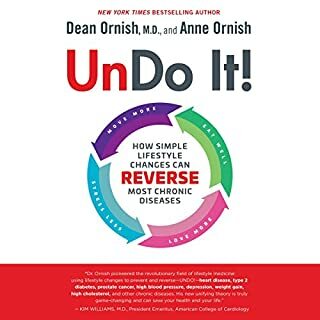 If you are sick, read this book. If you are young, read this book. If you are aging, read this book. 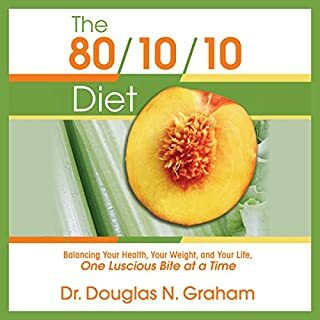 If you need to lose weight, read this book. 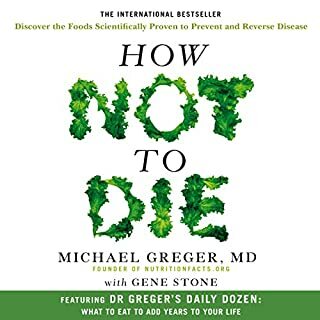 If you are in the prime of your health, want to stay that way and live healthy to a ripe old age, read this book. 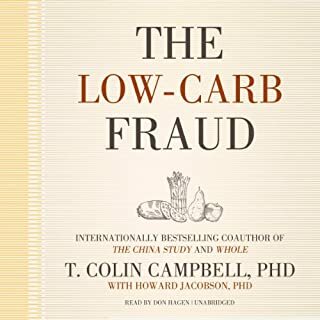 While I mostly agree with most of the conclusions of the author I believe that when a doctor or a scientist becomes an advocate he/she is no longer doing his/her job, and surely Mr Campbell here seems to ignore the legitimate doubts about what we know yet that fits his theory and jump to fish being probably bad (or poultry for that matter) with very little evidence (particularly if you do some research on your own). Same goes for saying you can get vitamin D from the sun when we know very well the damage the sun can produce and no relevant side effects have been described for a normal dosage of vitamin D. In this cases he is letting his views shape his opinion more than the data. 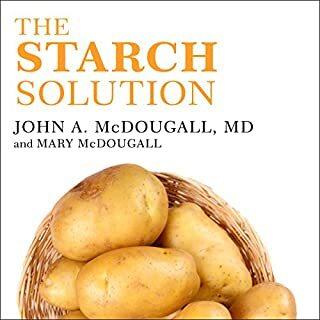 Besides that it is a nice book, with theory, practice and recipes (not so nice to hear them, I would have strongly appreciated to have them on a PDF) about a relevant subject.